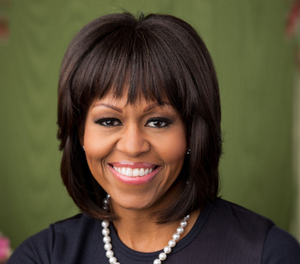 First Lady Michelle Obama will deliver the commencement address during the 170th Commencement Ceremony at The City College of New York on Friday, June 3, 2016, at 10:30 a.m. on the South Campus Great Lawn on the CCNY campus in historic Harlem, where more than 3,000 students make up the Class of 2016. The City College of New York is the first public higher education institution in New York City and has one of the most diverse student bodies in the nation. Established as a free institution dedicated to overcoming barriers to advancement, CCNY continues its mission of access to excellence and keeping tuition affordable. CCNY students are frequent recipients of national and international awards, including Fulbright, Goldwater, Gilman, National Science Foundation Research Fellows, Rhodes and Truman. The college also is a top producer of U.S. Fulbright Scholars among its faculty members who also are frequent recipients of other prestigious awards, including Guggenheim, National Endowment for the Humanities, NSF fellowships and grants, and national book writing awards. CCNY is home to 10 Nobel Prize winners, at least 11 Oscar recipients, and secures nearly $60 million per year in research awards that address pressing needs and lead to improvements in people’s lives and communities around the world. Recently launched is the new CUNY School of Medicine on the City College campus. The college also opened the City College Center for Discovery and Innovation as a magnet for international researchers and learning for students, faculty, and scientists working across multiple disciplines. U.S. News, Princeton Review and Forbes all rank City College among the best colleges and universities in the United States. Seating is limited and tickets are reserved for graduating seniors and their families. This event is open to pre-credential media who may RSVP by contacting Deidra Hill at dhill@ccny.cuny.edu. Invited guests are asked to arrive early before the start of Commencement as no one will be permitted entrance once the program starts. Since 1847, The City College of New York has provided low-cost, high-quality education for New Yorkers in a wide variety of disciplines. More than 15,000 students pursue undergraduate and graduate degrees in the College of Liberal Arts and Science; Bernard and Anne Spitzer School of Architecture; School of Education; Grove School of Engineering; Sophie Davis Biomedical Education/CUNY School of Medicine; and the Colin Powell School for Civic and Global Leadership. As the precursor to CUNY, City College is part of one of the largest public urban university systems in the country.